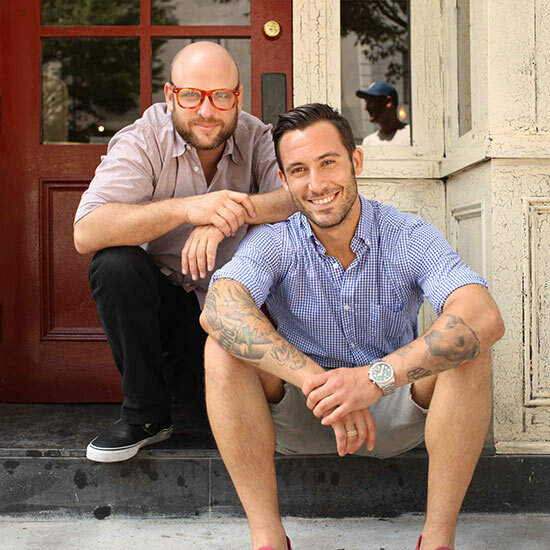 The Meatball Shop's Michael Chernow and Daniel Holzman will sleep on the street next month to raise awareness and funding for NYC homeless efforts. Here's how to help. On November 20, The Meatball Shop's Michael Chernow and Daniel Holzman will Sleep Out to support the homeless youth of NYC. In case that didn't compute: They will actually sleep on the street, in New York City, for an entire cold night. The idea is to raise awareness and funding from those who sponsor their campaign. It all started four years ago, when the Meatballers joined forces with Covenant House—an organization committed to providing basic needs to homeless kids. Besides sleeping out, Michael and Daniel run Meatball Heroes, an in-house program that provides jobs and training to ambitious teens who seek help from Covenant House. To be a part of the movement, visit The Meatball Shop's Sleep Out page and make a donation. Michael and Daniel hope to raise $20,000, so let's start helping!